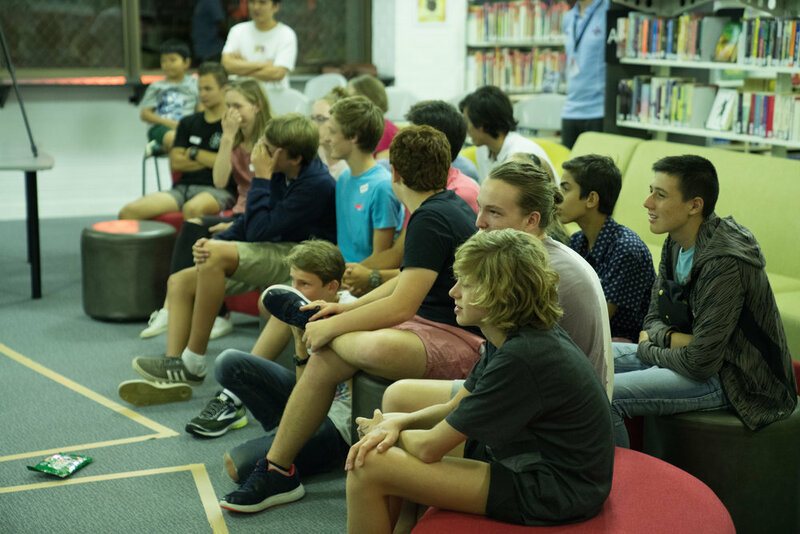 On Thursday evening students from Corpus Christi College and John XXlll College who are attending Space Camp USA in April had a unique learning experience in the Library. The Reverend Hollis Wilson, now Chaplain at MLC College, was an engineer for ten years working on the Space Shuttle Program in USA. He gave a fascinating presentation about the Shuttle Program, explaining the construction of the Shuttle and some of the subtler intricacies of the program. Staff, students and parents were spellbound and had many, many questions. Reverend Wilson’s talk was followed by an introduction to our new VR program designed by Anthony Hermawan. 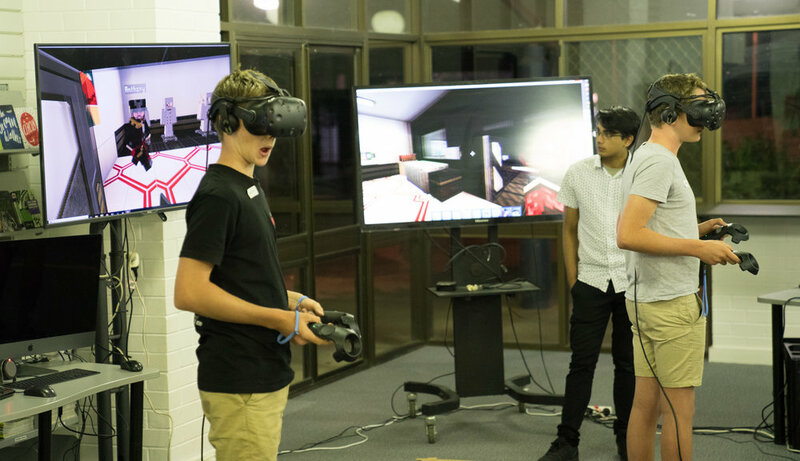 Assisted by Aaron Thomas, Anthony was able to give students, their parents and teachers a glimpse of the extraordinary potential of VR. He has designed a unique space experience for students to travel from the Corpus Christi College Space Ship to the Moon. With accurate detail about space, this gives students a rich, interactive learning experience.